Stocks of all hay stored in the United States totaled 25.1 million tons, up from 24.5 million tons in May 2015, according to the most recent USDA Crop Production report. 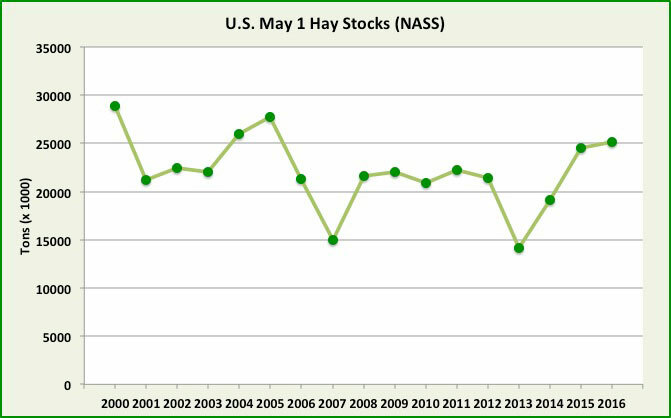 The 3 percent rise makes May 2016 the highest spring hay inventory since 2005 when stocks reached 27.8 million tons (see May 1 stocks graph below). States with the largest gains in hay inventories from one year ago included Kansas (plus 230,000 tons), Colorado (200,000), Nebraska (200,000), Texas (200,000), and Kentucky (190,000). Several major hay states also had large percentage increases. Among these were Washington (up 48 percent), Pennsylvania (up 47 percent), and Arizona (up 38 percent). There were also several states with significant declines in hay inventories. These included Montana (minus 275,000 tons), Indiana (135,000 tons), and South Dakota (100,000 tons). 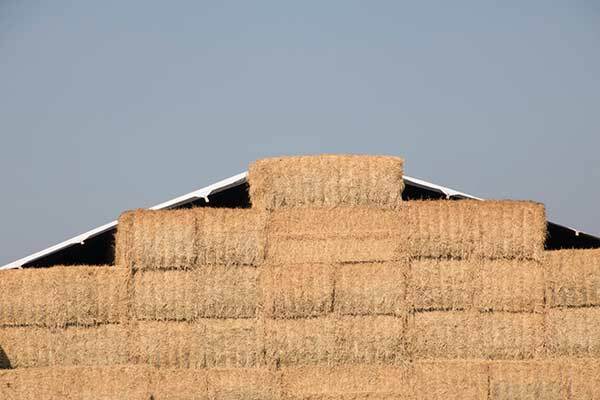 Among major hay states, the largest year-to-year percentage drop belonged to Indiana at 42 percent. Hay disappearance between December 1, 2015, and May 1, 2016, totaled 69.9 million tons. This compares with 67.5 million tons for the same period a year earlier (see Hay disappearance graph below). 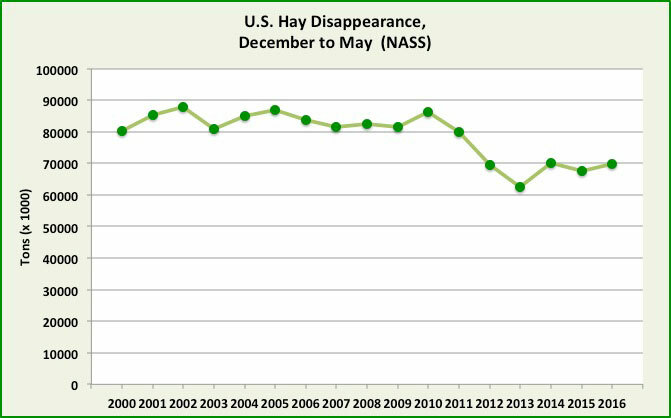 Hay disappearance figures have hovered between 60 and 70 million tons since 2012. During the previous 11 years, disappearance levels stayed between 80 to 88 million tons.